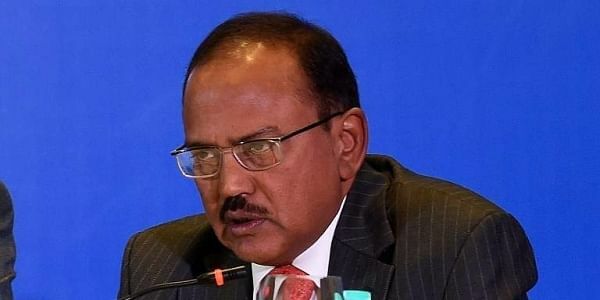 The meeting, chaired by National Security Adviser Ajit Doval, also discussed ways to expedite modernisation of the armed forces and evolving a security strategy for the country, official sources said. NEW DELHI: The newly-constituted Defence Planning Committee today deliberated on the geo-strategic landscape of the region and decided to make an "action plan" to effectively deal with various security challenges facing the nation. "The members deliberated upon the geo-strategic landscape and agreed to chart a time-bound action plan in keeping with its broad mandate," the Defence Ministry said. Members of the Defence Planning Committee (DPC) include three service chiefs, Defence Secretary Sanjay Mitra, Expenditure Secretary Ajay Narayan Jha, Foreign Secretary Vijay Gokhale, and Chief of Integrated Defence Staff, Lt General Satish Dua. Officials said all members of the committee attended the meeting. The DPC was appointed last month to facilitate "comprehensive" planning for the defence forces besides focusing on military doctrines to deal with emerging security challenges. The committee was tasked to prepare drafts of national security strategy and doctrines and international defence engagement strategy. It will also work on a strategy to boost defence exports, and prioritise capability development plans for the armed forces. The DPC would submit its draft reports to the Defence Minister following which further approvals will be obtained as required, officials said. They said the DPC would also analyse and evaluate all relevant inputs relating to the defence planning and foreign policy imperatives besides focusing on defence acquisition and infrastructure development plans including the 15-year-long integrated perspective plan. The committee will also focus its energy on the development of Indian defence industry and technology advancements. To provide duly considered and refined inputs to the DPC, specific issues would be managed through a number of subcommittees.